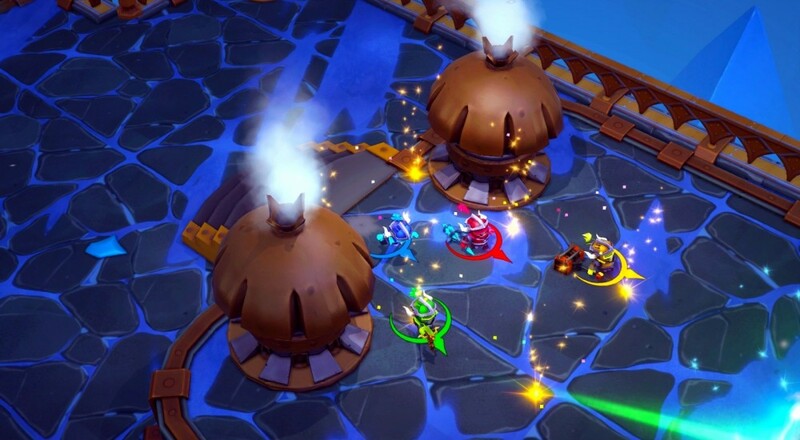 Originally slated for fall 2015, Super Dungeon Bros, the rock themed co-op brawler that will allow players to team up across specific platforms (i.e., PS4 and Steam, Xbox One and Windows 10), is now looking at a 2016 release date. While we eagerly await for it finally arrive, developer React Games has put together a little trailer that shows the four bros in action. Like any good super group, the members fit into set personalities. You've got the tough guy, the smart one, the quiet bro, and that one dude you're pretty sure just drank beer out of an expensive vase because he's "craaaaaaaaaaaazy." In addition to the trailer, React Games has setup a Beta signup page for the game if you're interested in checking it out a little early.